New York:: TOR / Tom Doherty Associates,, (2008.). Fine in illustrated wrappers.. Advance Reading Copy (trade paperback format. ) 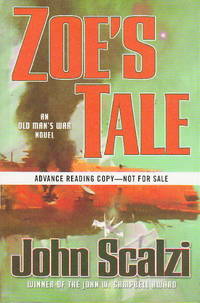 A stand-alone novel in his award-winning "Old Man's War" series. SIGNED on the title page and dated before publication on 6/1/2008. 335 pp. Book condition: Used - Fine in illustrated wrappers.